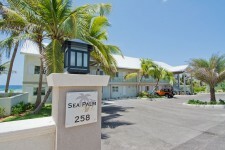 SEA PALM VILLAS boasts luxurious beachfront contemporary Caribbean-style villas that are centrally located in Grand Cayman. 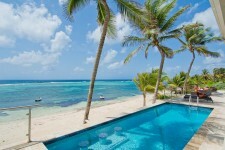 The villas are nestled into the East side of Bodden Town 200 yards from the Turtle Nest Inn / Condos. 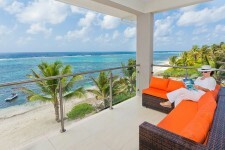 All villas are oceanfront one bedroom / one bathroom self-contained units offering some of the finest accommodation on Cayman. 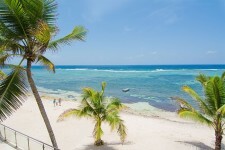 We offer a perfect setting for your Cayman holiday vacation, wedding or honeymoon. 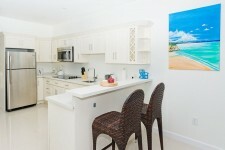 All villas are fully equipped and richly appointed with a tropical and contemporary flare. 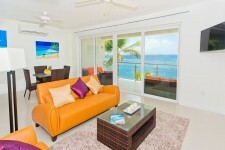 Each condo has its own oceanfront private balcony [180 square feet] to enjoy the year-round tropical temperatures and beautiful Cayman sunsets. We invite you to browse our website for a taste of what awaits you. 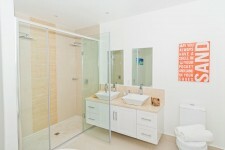 Please Contact Us for further details on availability, rates or any other questions. We look forward to seeing you on the beach soon!